From the Hotel des Grands Hommes take bus 87 until Bastille in approx 25 minutes. The Bastille fortress is known to many as a symbol of the French revolution. Its storming on the famous bastille day, on July 14, 1789, demonstrated that the revolutionaries were serious about freeing themselves from the yoke of royal rule. This event is so important to French history that every July 14th, French citizens celebrate their national holiday on the anniversary of the storming of the Bastille. Although there are barely any traces of the original Bastille prison, visitors can nonetheless visit the Place de la Bastille, where they will find a commemorative monument called the July Column in the spot where the Bastille once stood. Moreover, some of the original prison stones can be seen in the Bastille metro station. 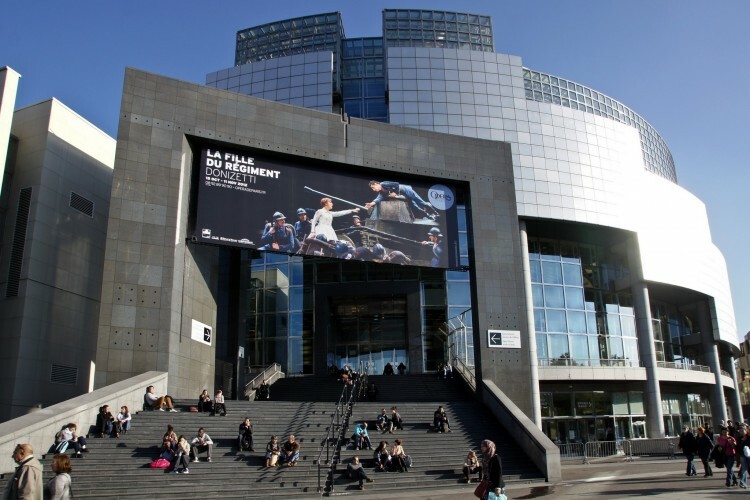 Located nearby is the Opéra de Bastille which, along with the Opéra Garnier, forms part of the celebrated Opéra de Paris. Various operas, concerts and other musical performances are a regular occurrence, providing a wonderful opportunity to bask in the culture of Paris. At night, the Bastille neighborhood comes to life, as the area's many restaurants and bars buzz with activity. Visitors can wander around and discover a wide variety of cuisines and atmospheres, especially on the Rue de la Roquette and the Rue de Lappe. Along with the restaurants and bars, the neighborhood also has many small local shops, giving visitors a real sense of Parisian life. Between rue Oberkampf, rue Jean Pierre Timbaud and rue Saint Maur shabby-chic bars, many following the success of Café Charbon and the Nouveau Casino venue.